Holiday entertaining has never been this fun! 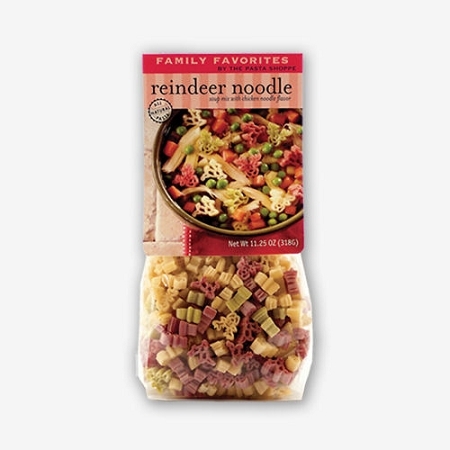 Your family will love our Reindeer Noodle Soup which includes reindeer shaped pasta with our delicious chicken noodle soup mix. Makes 10 cups in about 15 minutes. Pasta and soup mix included. Serves 6-8. Tip! Add a can of chicken and a can of peas and carrots for even more deliciousness!